"'The BBC’s lack of books coverage is “an absolute disgrace', according to Robert Harris, the best-selling author and chairman of the Costa Book Awards judging panel. "Announcing Helen Macdonald’s memoir, H is for Hawk, as the £30,000 Costa Book of the Year, Harris used his speech to criticise the corporation. "He pointed out that in the 1970s, when the book prize was launched, the BBC had two dedicated books programmes on its main channels. Now it has none. "Harris challenged Lord Hall, the BBC director-general, to put books back in the schedule. “'It is an absolute disgrace that the BBC, a publicly-funded organisation, shouldn’t do a bit more to help our books business,' he said, to cheers from an audience of authors and publishing industry figures. The Toronto Star reports that the team behind an acclaimed 1978 documentary on former premier Bill Davis is returning to Queen’s Park to film a new documentary on Kathleen Wynne, the first woman to govern Ontario. White Pine Pictures, which says it has been granted “exclusive behind-the-scenes access,” this week began shooting a “cinema verité-style” depiction of Wynne and her advisers as they prepare the spring budget. The untitled film, which will air on TVOntario later this year, is being co-produced by Emmy Award winner Peter Raymont. Veteran documentary maker Roxana Spicer will direct the Wynne film. "It definitely has more movies than both of its new Canadian competitors. It is also the only one that is truly an “over-the-top” service that anybody with Internet access can purchase. As well, the company has invested heavily in acclaimed original series such as House of Cards and Orange is the New Black." Here’s an idea that’s probably going nowhere but let’s try it anyway – CBC’s Amanda Lang could get down off her high horse and resign. Enough with the haughty umbrage. CBC could help her down from the high horse and achieve some closure on the matter of Lang’s allegedly compromised reporting and interviewing. But that’s another idea that’s going nowhere. CBC’s umbrage is even haughtier than Lang’s. It changed its regulations too late. Barn door closed after the horse left. "The CBC announced Thursday it will no longer allow its on-air journalists to make paid appearances, a little over a week after senior business correspondent Amanda Lang publicly faced allegations about potential conflicts of interest for giving paid speeches. "CBC News and Centres editor-in-chief and general manager Jennifer McGuire told the Star the discussion around paid appearances had been ongoing, but that 'the events of the last little while' impacted that discussion. "McGuire and her Radio-Canada counterpart Michel Cormier broke the news to staff in a memo. She said reaction to the policy shift was “mixed” within the organization. The union has already condemned the new rule and hinted that it will challenge it." Winnipeg's mayor choked back tears as he began to address the media today about claims by Maclean's magazine that his city is the most racist in Canada. "My wife is Ukrainian. I am Métis. I want my boys to be as proud of both those family lines — to be proud of Winnipeg, to be proud of who you are," he said, surrounded in the city hall foyer by prominent community leaders. 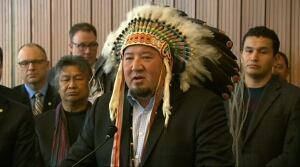 "We have come together to face this head-on as a community," Bowman said, noting that Winnipeg exists on what is traditional Treaty One territory. "We have to shine a light on it. Without the light, we can't see what we're fighting. We're not going to end racism tomorrow, but we're sure as hell going to try." Those remarks were repeated by all the speakers at the news conference. The Globe and Mail reports that Dean Blundell, the shock jock who was fired by Toronto radio station The Edge 102.1 a year ago after making comments deemed to be homophobic, will be the co-host of the morning show of The Fan 590, Rogers Communications’s flagship Toronto sports radio station. Blundell & Co., launching on March 2, will feature the controversial personality with current Fan host Andrew Walker. It will air weekdays 5:30 to 9 a.m. ET, and be heard nationally. The Star reports that Global Television’s senior news anchor Leslie Roberts has resigned, following a Star investigation into conflict of interest involving a public relations company he part owns. Guests of the PR firm appeared on his show with no disclosure. Global conducted an internal investigation but would not say who conducted it. A group of 10 U.S. media companies, including the New York Times Co. , the Associated Press and NBCUniversal, will test the use of drones for news gathering, seeking to persuade the government to broaden the commercial use of the small unmanned aircraft, Bloomberg reports. The news organizations will join Virginia Tech University to study the use of drones at one of six test areas approved by Congress, according to a statement today. The media companies are trying to gain U.S. approval for the use of drones to cover breaking news events that would otherwise be too expensive or dangerous to capture in person. The Federal Aviation Administration prohibits the commercial use of the small aircraft, though it has made some exceptions. The Star's David Rider reports that "Xtra, the loud, proud and boundary-pushing gay newspaper that has hit Toronto streets for three decades, will cease printing as it goes all-digital." "Scrapping the print versions of the Toronto, Ottawa and Vancouver editions of Xtra next month will trigger the layoffs of a dozen full-time workers in Pink Triangle Press’s publishing and administration divisions, PTP president Ken Popert said in a statement Wednesday. "The DailyXtra.com website, gay “hookup” site Squirt.org and other PTP ventures will continue to employ 57 people in the three cities, Popert said. “'For most of the past year, our management team worked with external advisers to arrive at an answer to this question: how can we best use our resources to continue to promote sexual freedom in a financially sustainable manner?' Ken Popert said in the statement. Corus Entertainment Inc. president and chief executive John Cassaday is retiring from the company next spring after 15 years at the helm, to be succeeded by current chief operating officer Doug Murphy, the Globe and Mail reports. 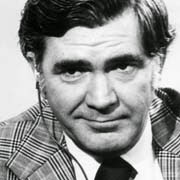 Cassaday succeeded Murray Chercover as president of CTV and was ousted when CFTO took over the network. He took CTV from a cooperative to a corporation. The Spectator reports that the BBC program Question Time saw long-time host David Dimbleby chair a debate on freedom of expression following the Charlie Hebdo shootings. During the program, Dimbleby stated that the BBC’s policy with regards to representations of Mohammed was to not depict the Prophet in any shape or form. This policy was met with criticism from panel and audience members alike. 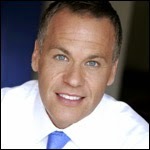 The Star's Kevin Donovan reports that Global TV's news anchor Leslie Roberts has been suspended after a Star investigation found he has secretly been the part owner of a small public relations firm whose clients — lawyers, small businesses and others — appear on his show. Armed men Wednesday stormed the Paris offices of Charlie Hebdo, a French satirical magazine targeted in the past for its cartoons on Islam, leaving 12 people dead, according to the Paris prosecutor. Arriving swiftly at the scene, French President François Hollande called the shooting a terror attack and described it as “an act of exceptional barbarity.” Mr. Hollande said he had convened an emergency meeting of top ministers for Wednesday afternoon to discuss national security. CBC head of radio Chris Boyce, a central figure in the Jian Ghomeshi story, and one other executive were put on a leave of absence Monday. the Star's Jacques Gallant reports. Bruce Phillips was a reporter from a bygone era. A lover of the English language, he belonged to a fabled group of shoe-leather newspaper reporters on Parliament Hill whose stories shaped a generation. He listened well, got the facts, never sensationalized and wrote with talent and speed. He moved with grace, spoke with eloquence, didn’t boast and hardly ever missed a deadline. He smoked cigars, drank Scotch, read books with a voracious appetite and was infinitely curious. The Wall Street Journal reports that an Egyptian appeals court ordered a retrial on Thursday for three Al Jazeera English journalists who were convicted in June of aiding a terrorist organization by spreading false news, a case that was widely condemned as politically motivated. At the hearing, which lasted only minutes, the journalists weren’t granted bail pending their retrial and the judge didn’t explain his decision—but it appeared to be the first legal acknowledgment that the initial trial was flawed. Family members of the journalists, Peter Greste, Mohamed Fahmy and Baher Mohamed, said the decision gave them hope that a retrial would lead to an exoneration but expressed dismay that the men weren’t freed after more than a year in detention.